My blog is about sharing. 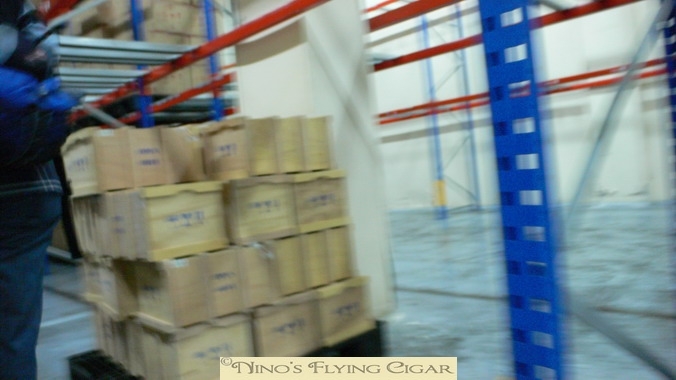 Sharing the fun of cigars, the experiences with friends, the information on cigar related subjects. 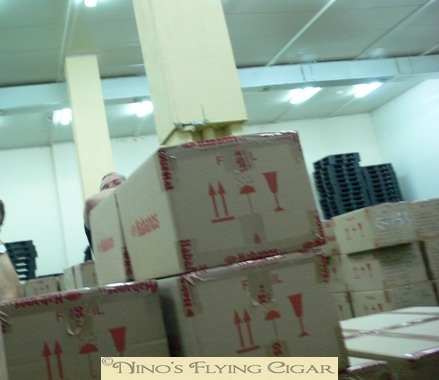 So when my good friend Keith from Canada asked me about the topic of freezing cigars by Habanos SA in Havana, I gladly provided some information and pictures of it that I had from a visit back in 2008. Keith has started his own blog which I find highly interesting as it revolves not just on cigars but on many different themes that are important to him. Cigars being only one part of the picture. 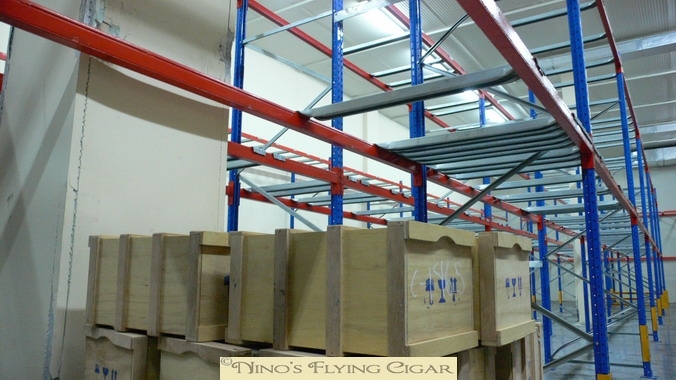 So here is a joint post on an interesting cigar topic – he has kindly provided the text and I have provided the pictures. Two guys – one passion. Looking forward to more sharing with Keith soon in Cuba. PS : To make visible the difference between the warehouse and the Escaparate (acclimatization room ) of a factory, I have added two pictures of the Escaparate in a well known factory. 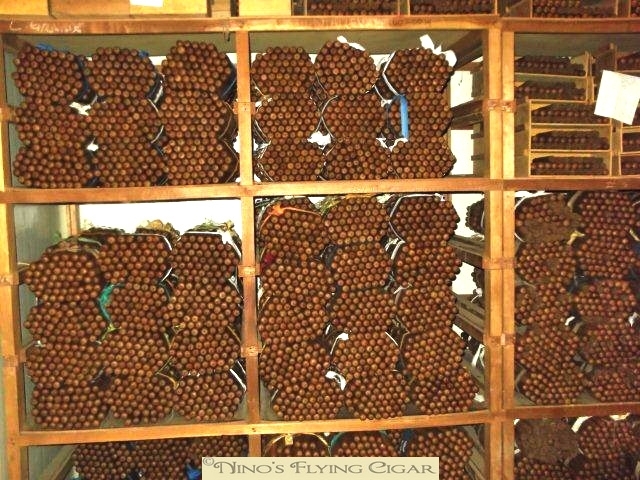 Cigars resting and waiting to be packed. 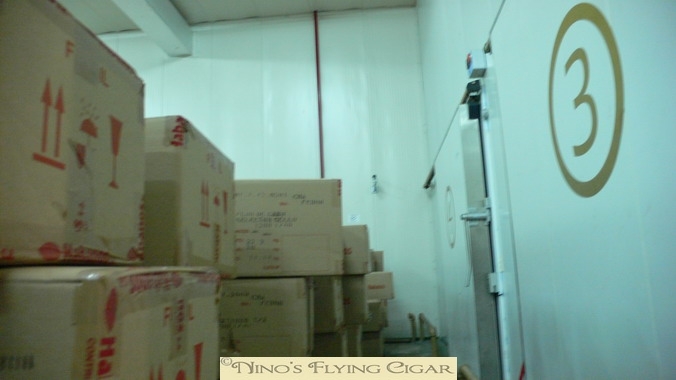 So, as it comes up in conversation oh so frequently, I figured I’d put up a little tidbit post here about Habanos S.A.’s freezing process for their Cuban cigars. 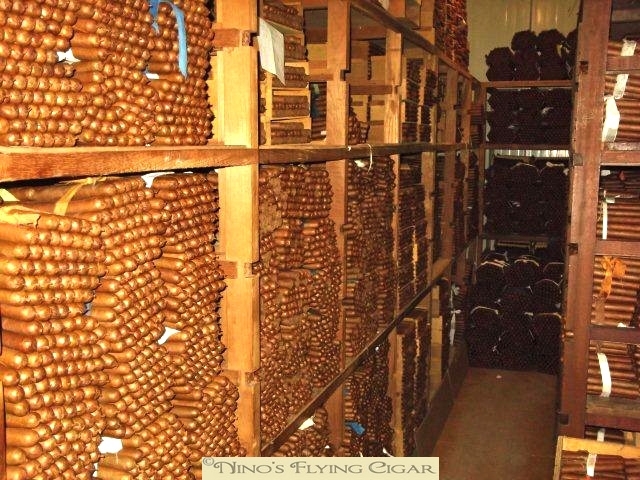 ( and also this CA article from 2006 ) – some have always referred to when discussing freezing cigars. I myself, even aside from that article and his good explanation and points (such a shame that CA and JS parted ways), I myself have always continued to go through a freezing process myself (inspection, bag in freezer bag [to prevent cross-contamination from food aromas], 3 days fridge, 3 days deep freezer, 3 days fridge, coolerdor for 3 days, then freezer-ziplock bag off, and into aging stock to be observed and checked monthly for 6 months before vaccuum-packing for the long-haul sleep). I’ve always looked at it this way – there’s so many things that H S.A. has and can screw up with our beloved Habanos cigars, I don’t trust the freezing 100%. It’s simply insurance to me, and I don’t mind the hassle. But for those who are annoyed by the laborious nature of this process, they’ve always looked for confirmation that this claimed freezing actually occurred. Well, back in 2008 on a trip with my wife, while on a tour at the La Corona factory in Havana (over by the harbour-warehouse market, and a nice little area), I was told that a couple of chiller rooms were just “acclimatization rooms” (I’ve been recently corrected [we’re all constantly learning in this hobby!] that these are “escaparates” rooms, and that they only serve to rest the cigars for 60 days or 3 months), and not the main freezer rooms. I had remembered the CA article that Suckling had done in the year or two before, and asked about the freezing process. Maybe I got a really trusting guy, or he thought my wife was cute, but he did seem to spill the beans a lot (I later found out that he was one of the quality control managers at the time, there at La Corona – can’t remember his name for the life of me – and he did our tour that day special). 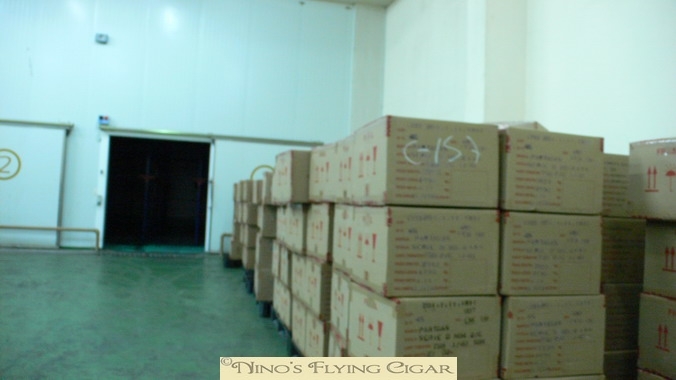 He told me that those rooms were just to slightly prep the cigars for the freezing process (which really didn’t make sense to me then or now), to be done at a separate location in the suburbs of Havana. He explained to me about the freezer set up, and yes, being rolled in as pallets of mastercases (not plastic wrapped either, which I thought was peculiar at first), and how they went in for 4 to 5 days of a freezing process. He didn’t elaborate too much on temperatures or of it being a flash-freezing process (which, 4 to 5 days told me it isn’t). However, I didn’t get to see it myself in person so I simply was not a 100% believer. 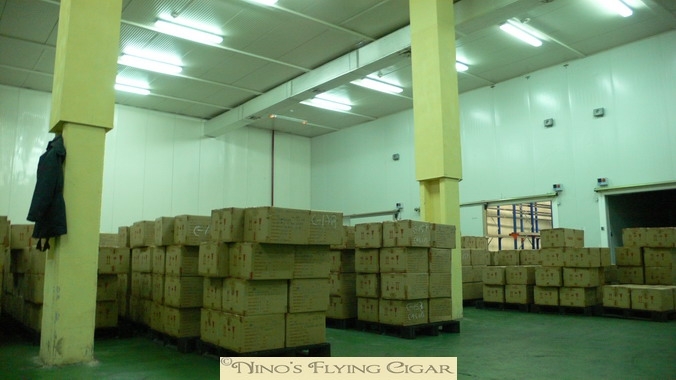 Habanos S.A. has its main export warehouse (where all the mastercases are transported from all the factories to be exported world-wide) in a spot in the suburb of Guanabacoa, across from the harbour and old Havana. It is a fairly large warehouse facility, unmarked, unnamed, and unidentified. 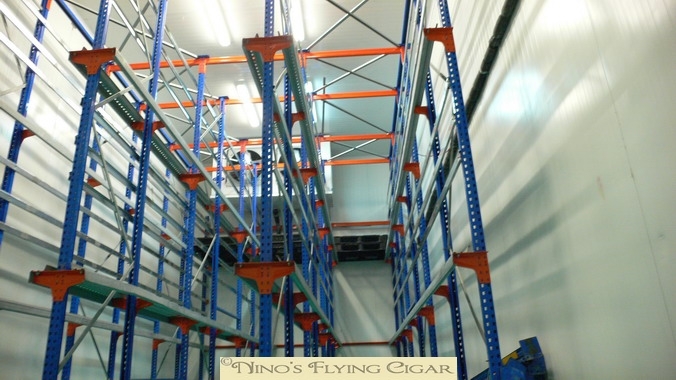 At this warehouse, all the mastercases are put on pallets and frozen for approximately 4 to 5 days before being shipped from there to the regional/national importers. 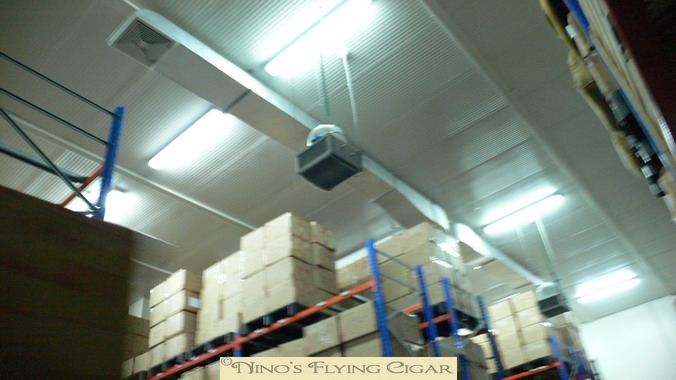 The warehouse has 4 large cavern-like rooms for industrial freezing. On pictures # 3 and # 4 you can see the freezer rooms and the mastercases waiting to be hauled in to be frozen. In picture # 5 I believe you can see the inside of an empty freezer. As to the technical facts (temperature, flash-freezing rate, etc. ), that isn’t available off-hand, but I was told that it was sufficient to kill any beetle/larva infestation. The date of these pictures were from a visit in 2008. 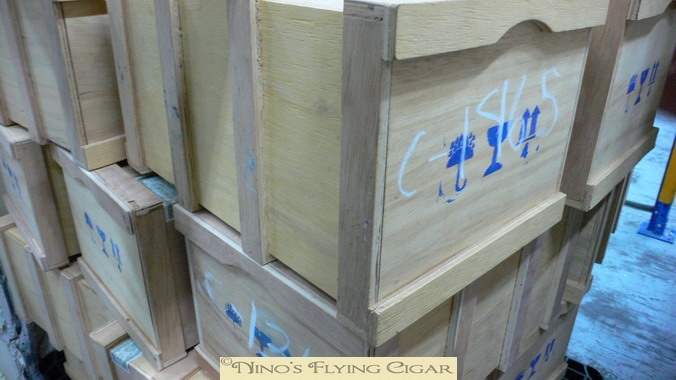 These photos and information were graciously supplied to me recently by Nino Muñoz, a good friend not connected to the cigar business itself, for posting here and on his Flying Cigar blog jointly. Hope some find this informative and helpful. A mystery unraveled. Great article. Thanks to Nino and Keith.